Dutchess County Pride Center is a safe space for LGBTQ youth, allies and their families to meet and socialize. 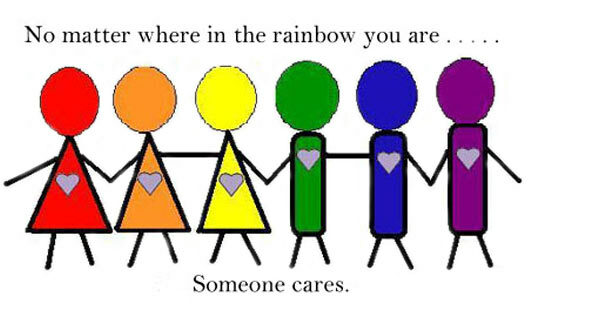 Our goal is to improve the health, safety and well-being of LGBTQ youth in the Dutchess County. We are currently running four monthly groups and will have special social events throughout the year. Please see our Calendar Page for more information about upcoming events. The Q-Youth Group is a social and support group for LGBTQ+ teens and allies, ages 12-18. The QYA Group is a social and support group for LGBTQ+ yound adults, ages 18-24. ​The Gender Benders Group is a social and support group for youth 18 and under who identify as transgender, gender non-conforming or gender questioning. The Proud Parent Group is for parents of LGBTQ+ youth. For more information about the Groups, check out our Group Page or Contact Us with any questions.